Also known as marquees, tickers scroll across the width of a viewing screen, presenting messages designed to be viewed and understood at a glance. 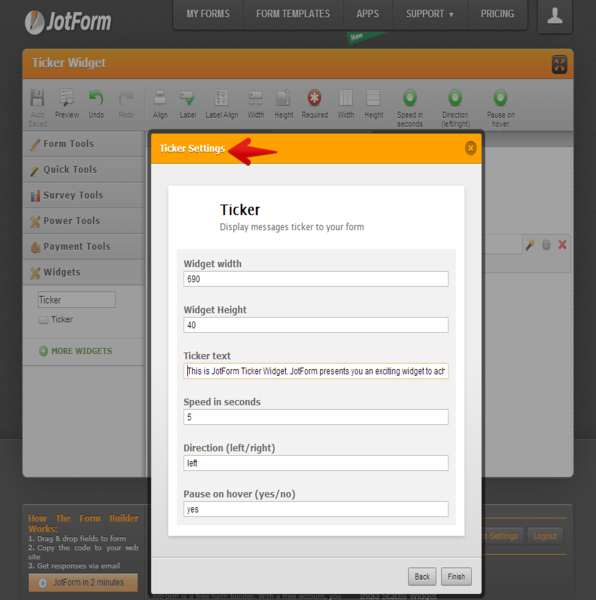 JotForm presents you an exciting widget i.e. 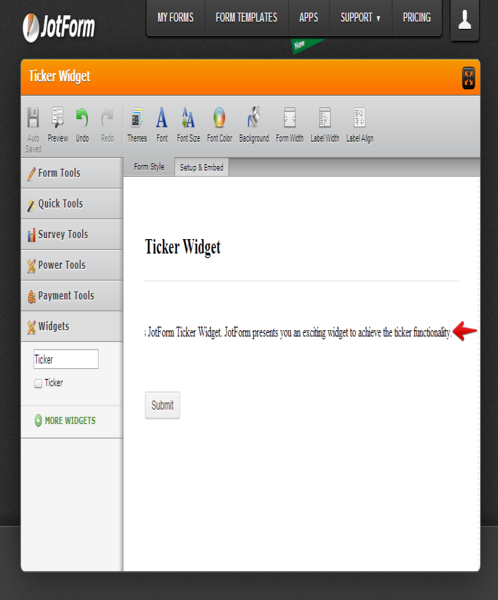 "Ticker Widget". 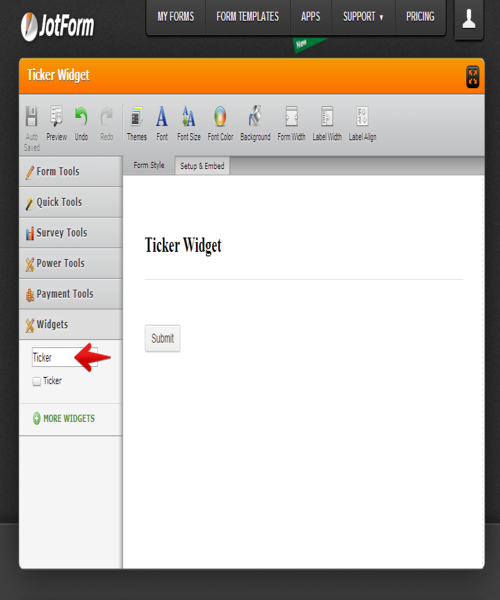 You just need search, add the widget and set the marquee text and configuration in your form. Your ticker is ready in just few minutes. I love that I can add HTML links to the ticker. 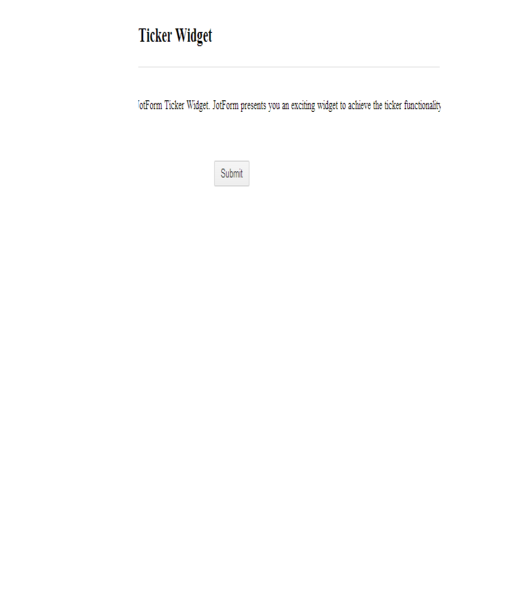 Very nice and a great way to send users to related pages.